The paintings in acrylics and mixed media are originals on high quality paper or canvases and the cityscape's are painted with a creditcard in oil & mixed media on canvasboard! 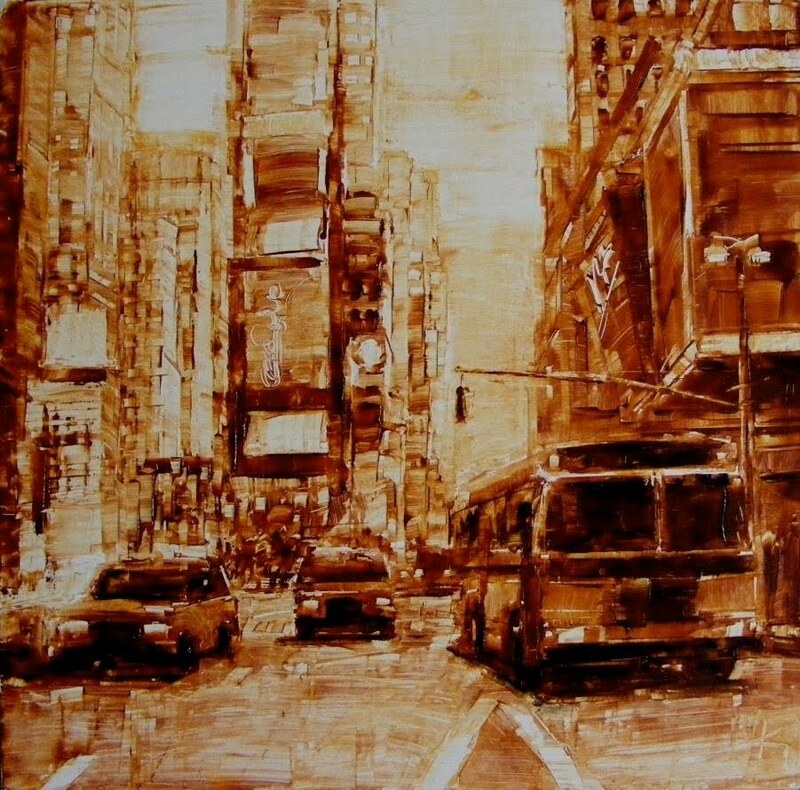 Monochrome Cityscape, Broadway by Bus painting (Times Square) Seventh Avenue, Manhattan, New York City! Wow, there's a lot going on in this 8 x 8 inch! And ... painted with a creditcard ...? Interesting stuff going on here! My painting practice journey of paint, color, drawing and composition! Thank you for visiting. The canvas board has nine layers of specially custom made gesso before I start painting. The acrylic brand version is Amsterdam Acrylic, the oil version is van Gogh oil.